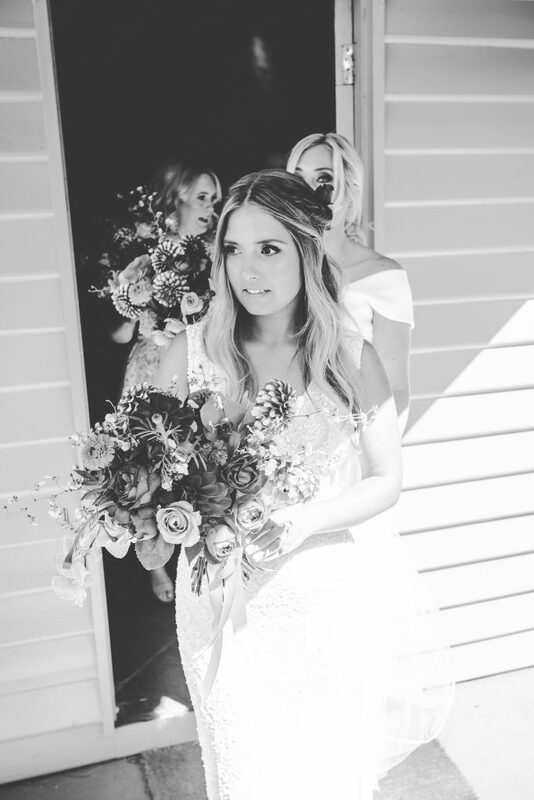 A perfect blue sky Summer day provided the perfect setting for Caroline and Tom’s special day in Red Hill. 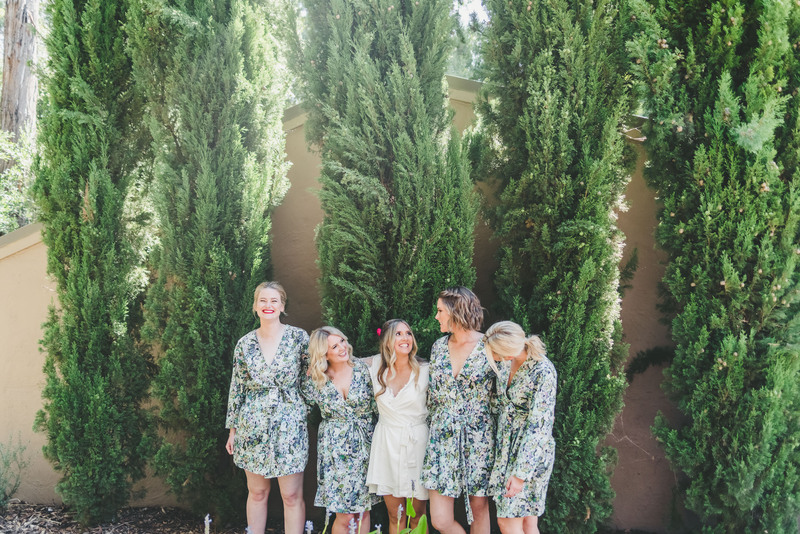 Exchanging colour filled vows in front of the vineyard at Tuzzie Mussie, complimented with bright toned blooms and accents of copper, fun modern furniture and plenty of sunshine. 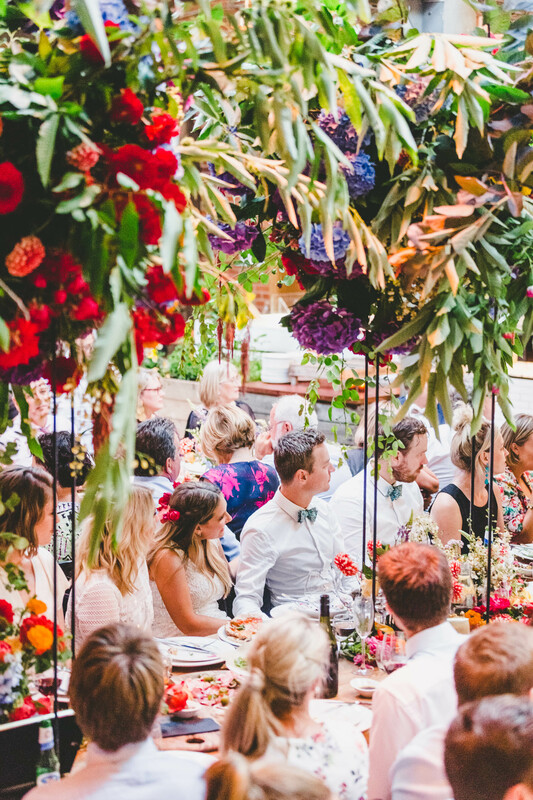 Cocktail hour was set on the lawn with a pop up caravan bar, guests mingled underneath market umbrellas, bar tables and a giant oak tree. 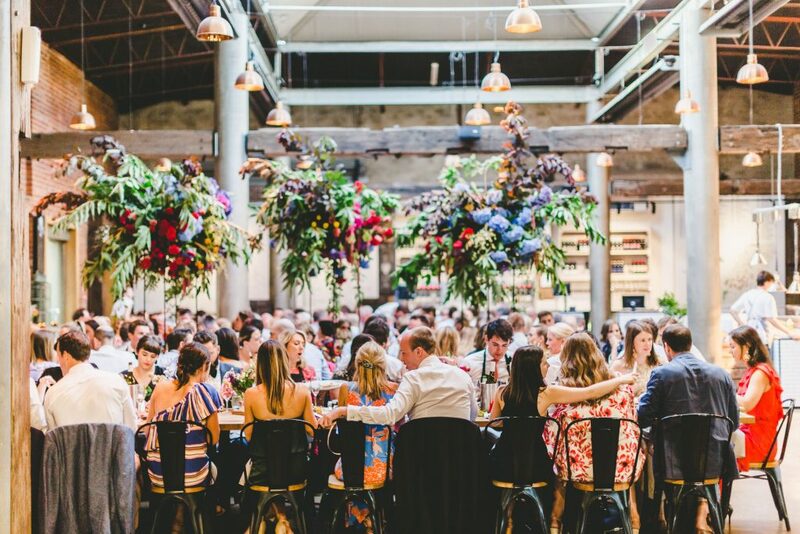 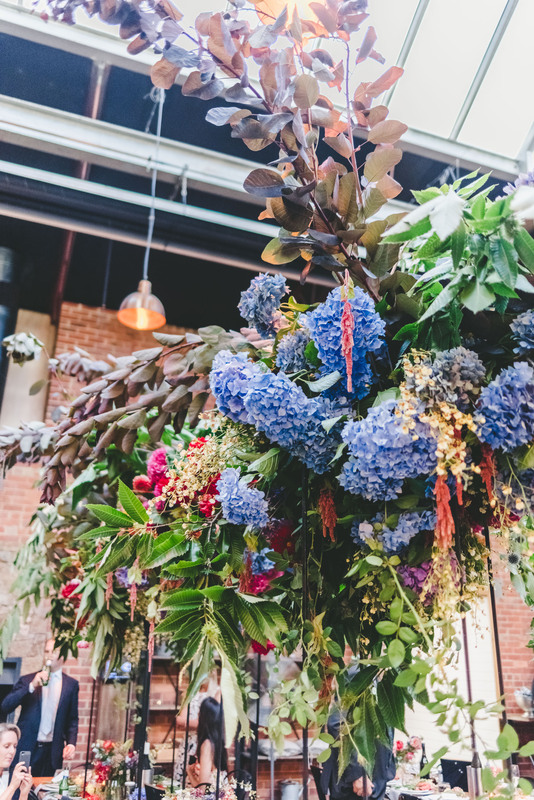 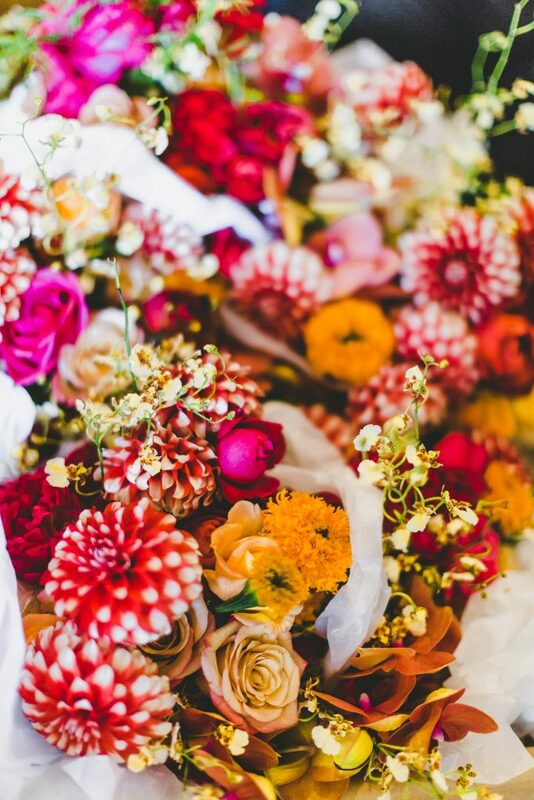 The celebration kicked on into the night with a reception at The Epicurean, the colour filled blooms continuing throughout. 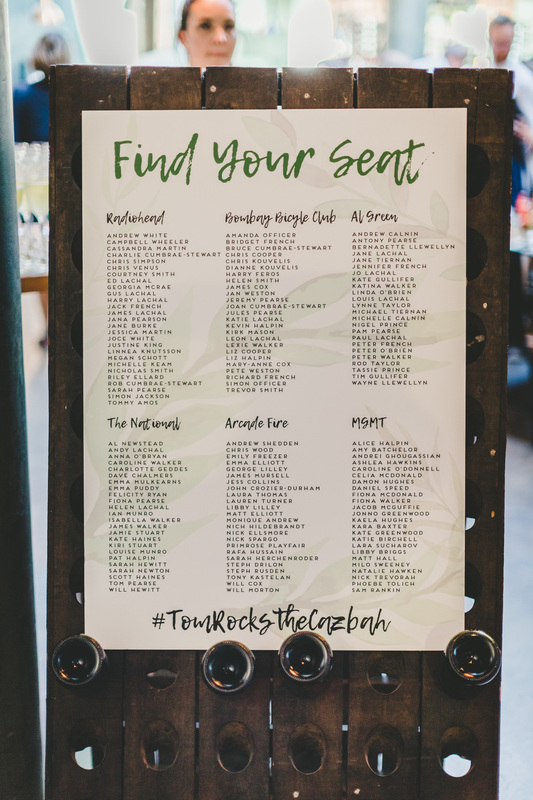 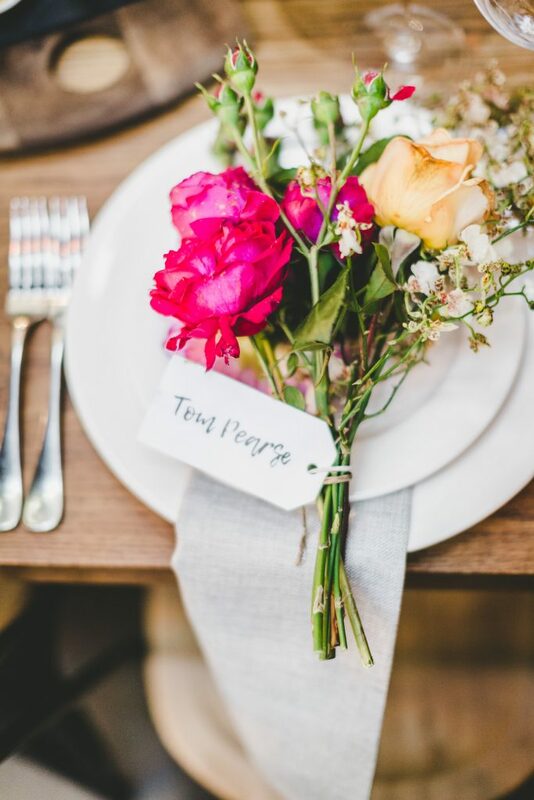 Calligraphy place cards were hand tied to individual bouquets for guests to take home, with a canopy of flowing greenery and rainbow flowers set on the bridal table, providing the perfect backdrop for a night filled with dancing and champagne.